We went to Cafe Source to celebrate our 1st wedding anniversary having gotten married in St Andrews in the Square the year before. The food is excellent, very generous portions so probably didn't need the 3 courses, though I enjoyed every one of them! It was quite quiet and I wonder why more people haven't discovered it. 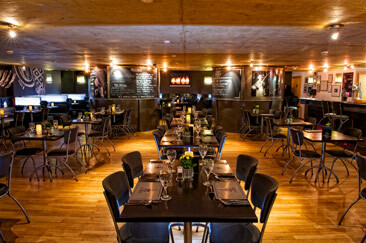 The decor is quite basic but after a refurb it's looking modern and the staff are very friendly and helpful. Give it a go if you haven't tried it, it's not far from the Merchant City and easier to reach than you might realise.